W0083: East Court with Central Plaza towering aboveOn the lower tier of Xochicalco’s ceremonial core, directly to the east of the Central Plaza, lies the East Complex. 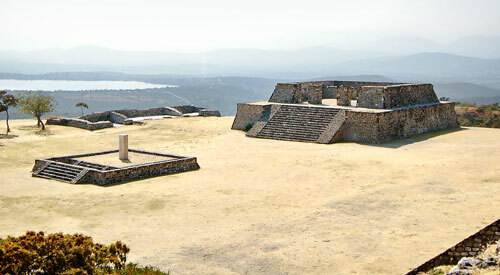 This area is centred around a squared plaza, with a long rectangular building on the western flank, a row of three pyramids along the eastern flank, and a ball-court located further east beyond the row of pyramids. 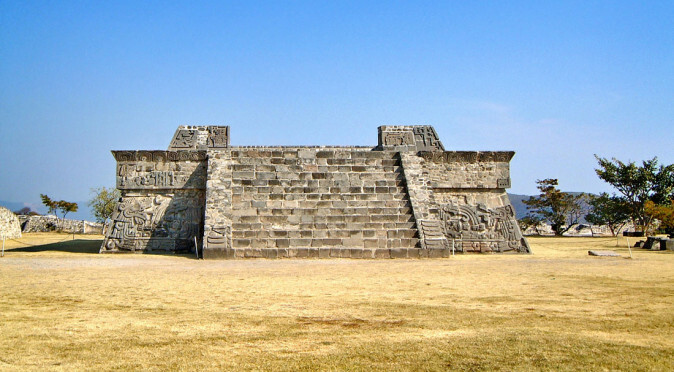 The west flank is dominated by the imposing foundations of the Central Plaza, beneath which is found the long porticoed Structure E (fig. W0083) that functioned as a great hall and west wall of the plaza, which also featured porticoed structures on the north and south sides to create an enclosed square, known as the East Court, which dedicated to the central and largest pyramid, Structure G4, which closed off the east side. W0082: East Court’s Eastern Flank Whilst the East Court was certainly an important part of the East Complex, it was still just a part of a much greater complex, which played a very important role within the city. 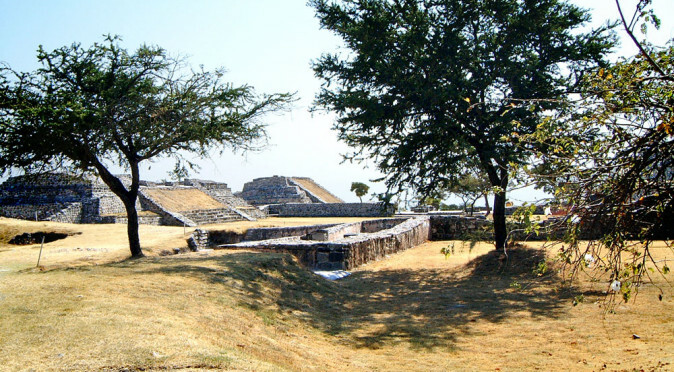 This greater purpose is alluded to with the inclusion of its own reservoir, the twin pyramids that stand either side of the central pyramid, the ballcourt that is just beyond the central pyramid, the sunken garden to the south of the ballcourt and the unusual “Ramp of Animals”, which is a tiled with zoomorphic images and leads back up to the East Court from the sunken garden (fig. W0082 looks across a room located just outside of the East Courts closed plaza, through what would have been a porticoed walled entrance, through to the central pyramid with one of the twin pyramids in the distance). W0084: Eastern BallcourtThis larger collection of buildings are all organised around the Eastern Ballcourt (fig. 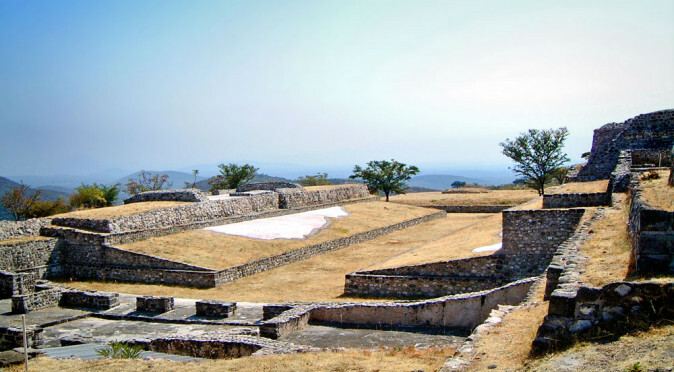 W0084), which was undoubtedly the epicentre of the East Complex, both physically and ceremonially. 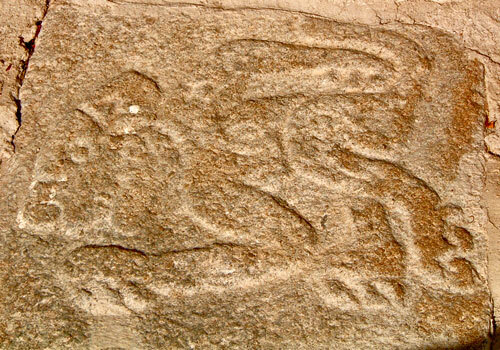 The ballgame was an intrinsic part of the religious and political framework of Mesoamerican city life. It was a bloody sport where the losers, and sometimes winners, were ritually sacrificed at the end of the game. The idea of the game was to keep a large and very heavy rubber ball bouncing up and down the court. The game was played by two teams, with either 2 or 4 players on at each end, with the centre-line marked by discs either mounted on the wall or planted in the floor (a marker is just about visible on the far wall in fig. 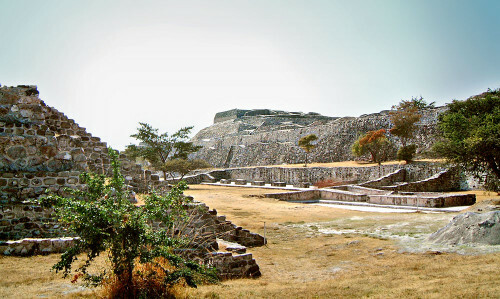 W0084, read the article “Xochicalco: Ball-Courts” for more info). Whilst the social spectacle can be likened of that of the Roman gladiatorial arenas and equally similarly captives were often used as the hapless opponents that were doomed to lose, the symbolism and purpose of the game was deeply religious and played a part in the sacred rituals of the city. It is also thought the game was used to settle disputes, either with other city-states or internally, between feuding rivals. 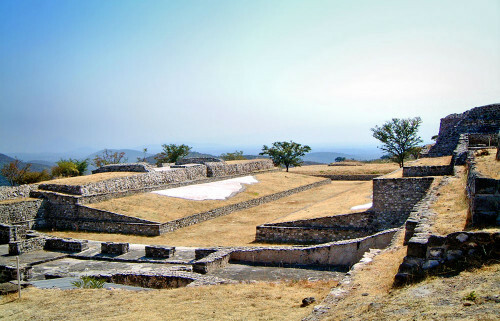 Certainly, at Xochicalco the game was of great importance as there are three huge courts surrounding the Central Plaza, and the entire Eastern Complex appears to be dedicated to the ball-game and its rituals. W0085: East Complex MapFrom the ground it is hard to distinguish, but from an aerial perspective it is clear that the Eastern Ballcourt was at the epicentre of the Eastern Complex (see fig. W0085). 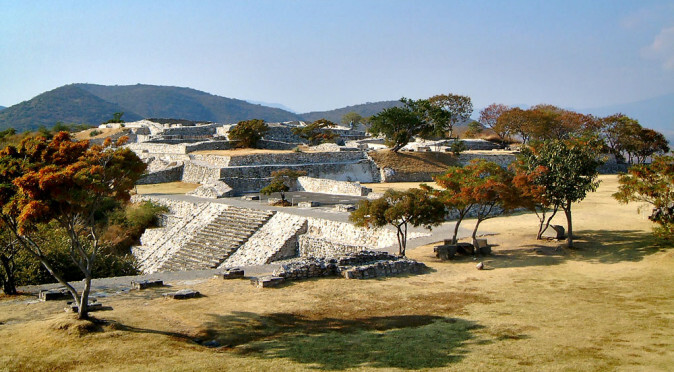 From the above you can see the capital “I” shape of the ballcourt is flanked on both sides to create an arena – and in fact the area to the east of the ballcourt is larger than the East Court on the west-side. 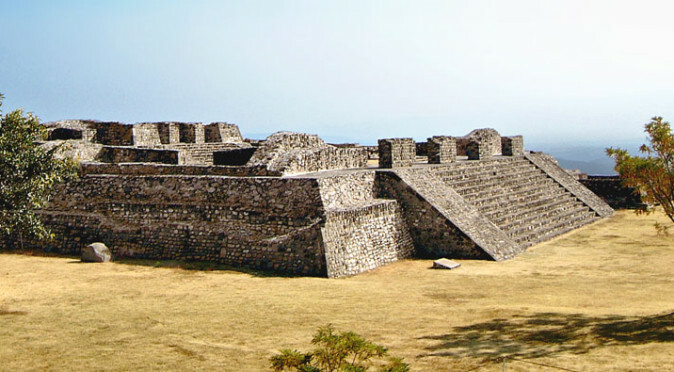 The large central pyramid of the East Court appears purpose-built to overlook the court and a smaller porticoed viewing platform is visible on the opposite wall. Therefore, it seems likely that the East Court’s plaza and buildings would have been dedicated to the rituals surrounding the game, as well as being used by the king and his dignitaries to watch the game. From above it is also clear that the northern twin pyramid is located at the north end of the court and backs on to an area that would have been used by players to prepare before the game or to wash down after. 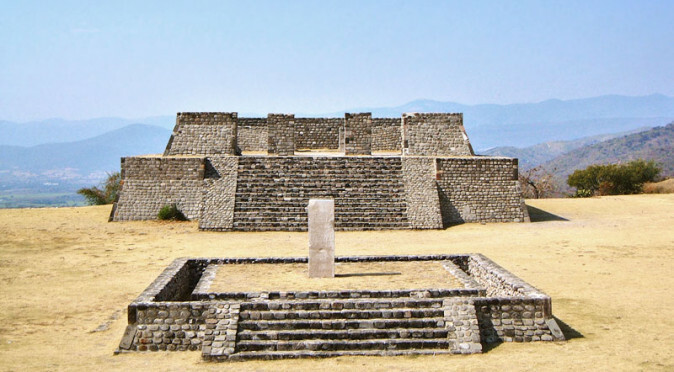 The southern twin pyramid clearly sits at the other end of the court and has its own plaza that leads directly in (or out) of the ball-court. Again, whether this area was used before or after the game is unclear, but the pyramid appears to be a viewing platform for the king and his dignitaries to look down on this plaza, and so it would probably have served as an area to for the king to honour the victors and behead the losers. W0088: Animal Ramp TileThe final piece of this ritual complex is the “Ramp of Animals” (which in fig. W0085 is beneath the white rectangular covering immediately south the the southern twin pyramid). 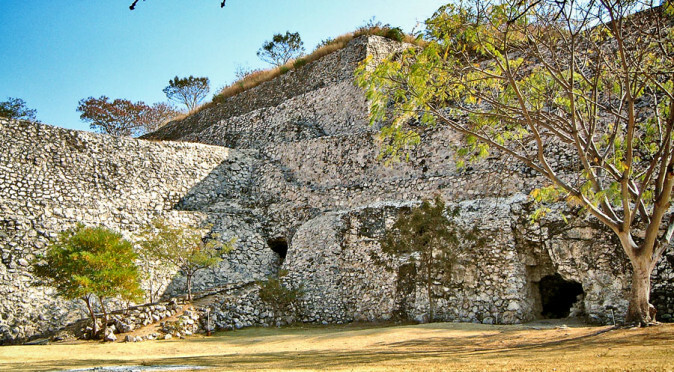 The ramp leads up from the plaza of the southern twin pyramid, back to the primary level of the Eastern Complex. The ramp is covered with 271 tiles that feature zoomorphic and anthropomorphic figures. 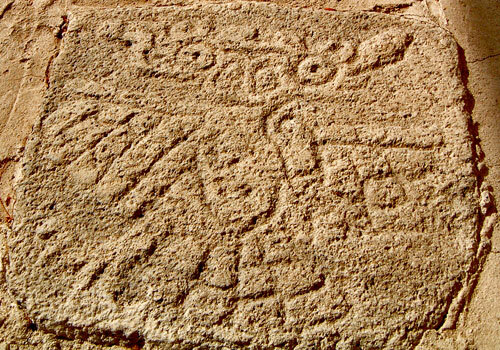 It seems fairly certain that this was part of a ritual procession-way to either access of leave the Eastern-Ballcourt, and it would therefore seem logical that the slabs represented those defeated or victorious at the game – and they certainly look like coat-of-arms. However, reports suggest that these slabs have been found all-around the site, numbering 492 in total, which has led to the supposition they served another purpose and were moved here at a later time. 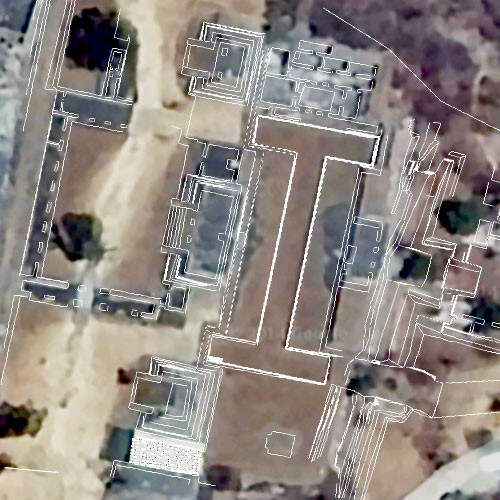 The curious alignment of the Central Plaza not only indicates that it was purpose-built for observation, but may also reveal the identity of Xochicalco's builders.